Trailers come and go for loading and unloading of products and forklift trucks and workers move the products around quickly at your loading docks. According to OSHA, there are about 85 fatalities involving forklifts every year and tractor trailers are the second leading cause of backover fatalities in the US. Safety first is second nature to us, so our team at Ulti Group are able to recommend the ideal safety solutions that can help you reduce risk, and protect your people in your loading dock environment. Vacant loading docks create a dangerous drop-off where forklift operators can drive off and fall. Prevent accidental falls with the help of a Dok-Guardian Safety Barrier on each of your loading dock. This removable safety barrier can help prevent forklifts, pallet jacks and pedestrians from falling off your loading docks. 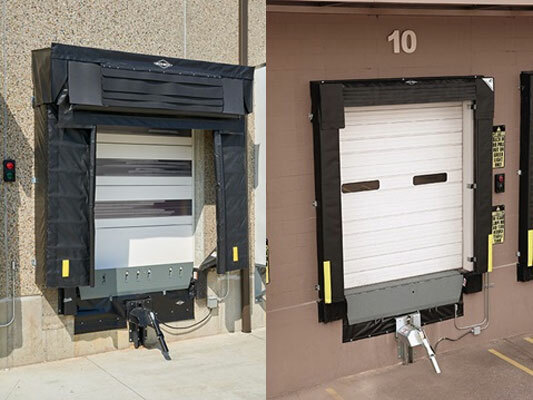 Secure each trailer that enters your loading dock using rear impact guard restraints. Rear impact guard-based vehicle restraint utilises shadow-hook technology that works with accessible rear impact guards. A visual verification that the trailer has been restrained before the next part of the operation starts can be done from the inside of the dock with the use of Lok-Vu. This utilises a single or dual outside camera view which is displayed inside. Flashing red and green lights on control boxes may become obstructed on busy loading docks. Use Corner-Vu and Leveller-Vu which flashes lights on the upper corners of the interior dock door and at the leveller pit read to provide more visible line-of-sight vehicle restraint status in the forklift driver's view. Add an additional layer of pedestrian safety outside the building for workers on the other side of the loading dock. Approach-Vu uses light and a horn system to indicate clear visual and audible warning to pedestrians in the the drive approach when a backing vehicle is detected. Detect activity inside trailers and warn oncoming traffic with the flashing blue light of Pedestrian-Vu. This features motion sensors on each side of the dock door which are aimed inside of the trailer. It then emits an intense, flashing blue light onto the leveler when activity is detected inside of the trailer to warn everyone on the dock to proceed with caution. When both pedestrians and forklift truck share the same space, it is very important to have traffic lights. The Safe-T-Signal Warning System detects traffic from all directions and communicates to oncoming traffic at intersections. It uses high-visibility traffic control LED symbols to signal a pedestrian/forklift to stop or yield. It also projects a blue LED light on the floor to signal workers that they are approaching an intersection. Vehicle restraints should not only secure a trailer to the building but also provide danger notifications. 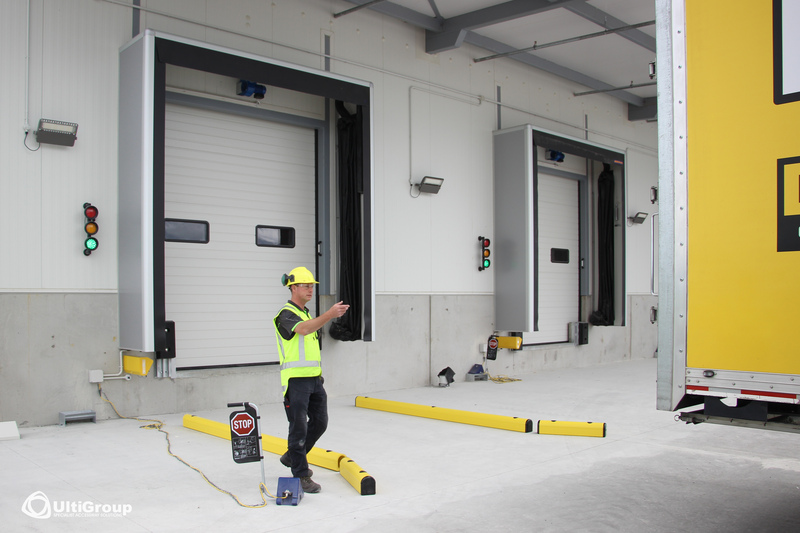 Hazard recognition and communication to pedestrians and material handling operators can be done using the Rite-Vu™ Hazard Recognition and Light Communication System. Prevent trailer up-ending and other accidents due to landing gear collapse by placing trailer stabilisers or trailer stands under the nose of spotted trailers. Trailer stands can be adjusted according to the height of the trailer to support and stabilise the trailer especially when forklift truck enter the trailer during loading and unloading of goods.